4" wide belt and can be adjusted from 40" to 48"
Ahoy there matey! Are y' ready to live the pirate's life this Halloween? Have you been aching to find an amazing adventure lately? Well, everyone knows that the grandest of adventures are always had upon the seven seas! So we hope y' already took the time to pick out the perfect pirate costume for yourself because the next step before setting sail is stepping up your game with a few accessories. So you may be asking yourself, just what are the 'right' accessories to live a pirate's life? What is it that will make or break a great pirate costume? Hmmm. Obviously, you'll need some powerful weaponry by your side. Although, if you have no place for your sword or pistol to hang from, what good are they? 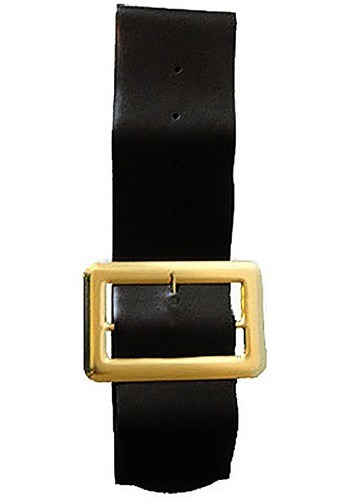 Well, we have you covered with this great pirate belt! It's perfect for any pirate accessories. Grab this black beauty and complete any pirate costume you desire with style!